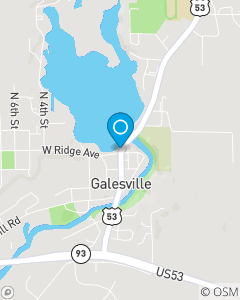 Located right on the shore of scenic Lake Marinuka in Galesville, WI. Bring your fishing pole! Our business is not WHAT we do, but HOW we do it. And, we do it by: Listening, Counseling, Empathizing, and building relationships with our customers. We also give our customers the opportunity to say no. We live this every day. I have been blessed with an amazing team:Rick RayAmanda BakerStephani LockingtonLuciana Godley There is over 50 years of experience between these people!